The Perry Street Thursday Market. Spring has sprung and the region's farmers, growers and food producers are gearing up for another bountiful harvest season. 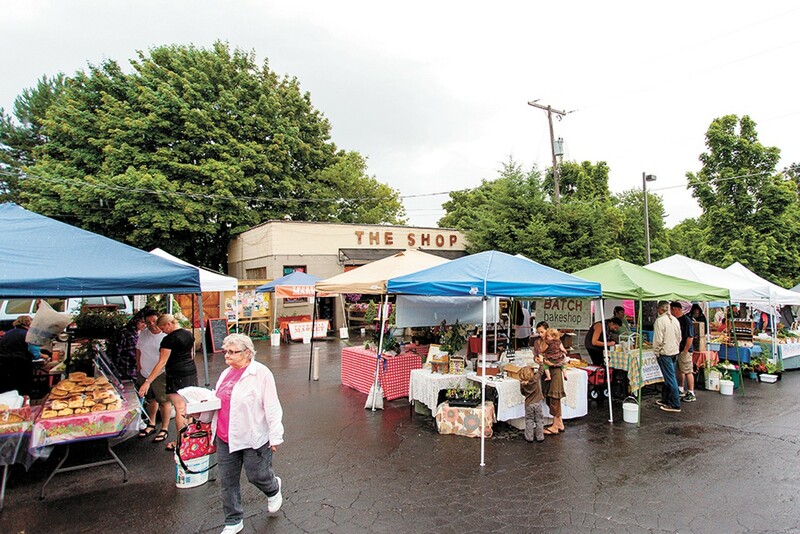 The opening dates for several area farmers markets have been recently announced, so mark your calendars and plan to be there to purchase spring veggies, garden starts, artisan food and more. Favorite local vegan/veggie friendly restaurant Cascadia Public House (6314 N. Ash) has been serving Impossible Foods' buzzworthy meat-mimicking, all-plant-based Impossible Burger since last year, but it's since gotten even better. The North Spokane eatery recently began serving the recently improved plant patty — the maker's new recipe brings buffs to flavor and texture — which was designed not for practicing vegans/vegetarians, but to tempt frequent meat eaters to make the conversion, at least once and awhile, from animal to plant protein. The Impossible Burger is making such massive waves in the food industry of late that even Burger King is testing it out in the Chicago market, with plans to roll out the patty to locations nationwide sometime later this year. In the meantime, head to Cascadia to sample this meat-like burger ($16) that is known to fool even the most bombastic of beef lovers. The original print version of this article was headlined "Farmers Markets are Coming"